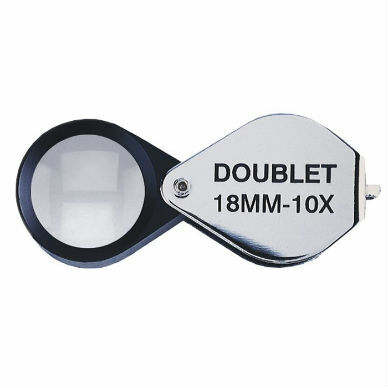 This quality doublet magnifier provides a sharp image at a reasonable price. 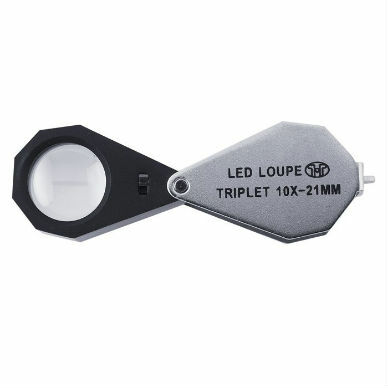 Lens is 18mm in diameter. 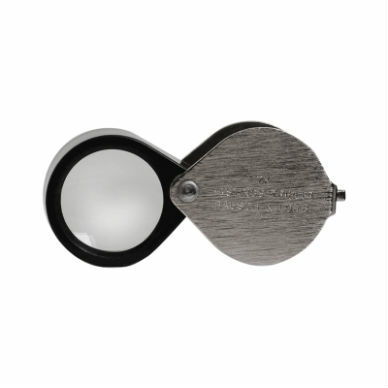 Lens housing is black metal; swings into polished chrome housing for safe storage. 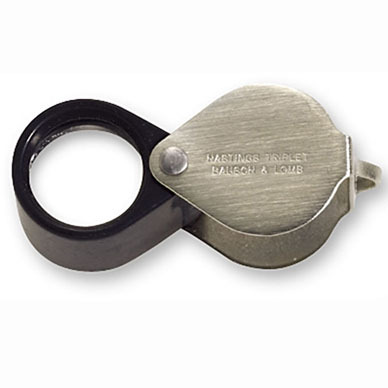 Housing has loop on the end for attaching a lanyard. 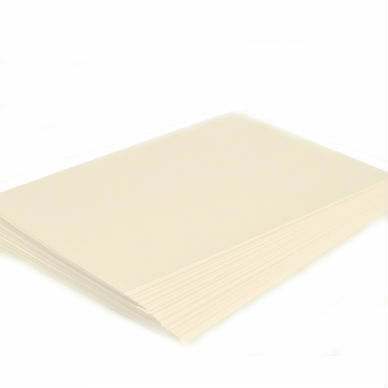 This is one of our new favorites, if you want to spend a little less for a quality instrument.